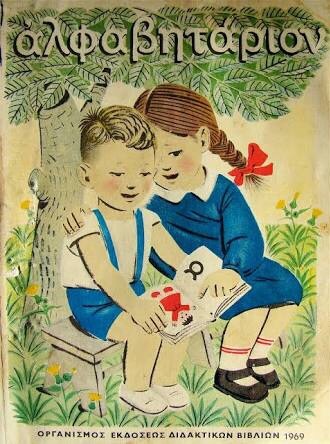 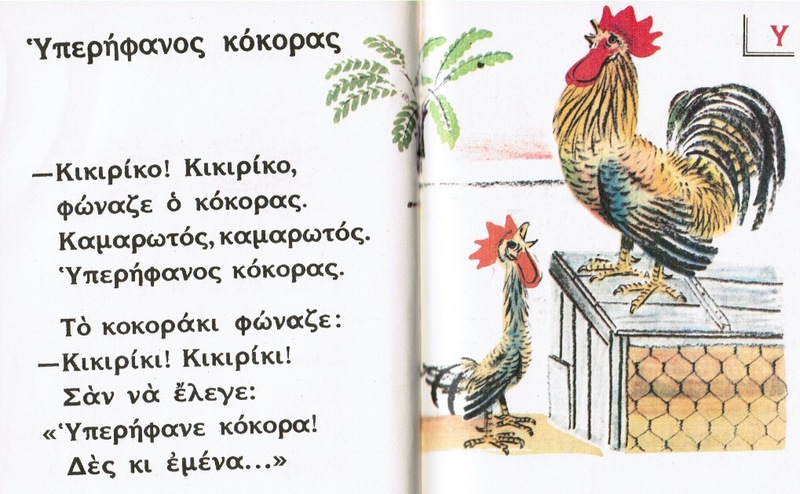 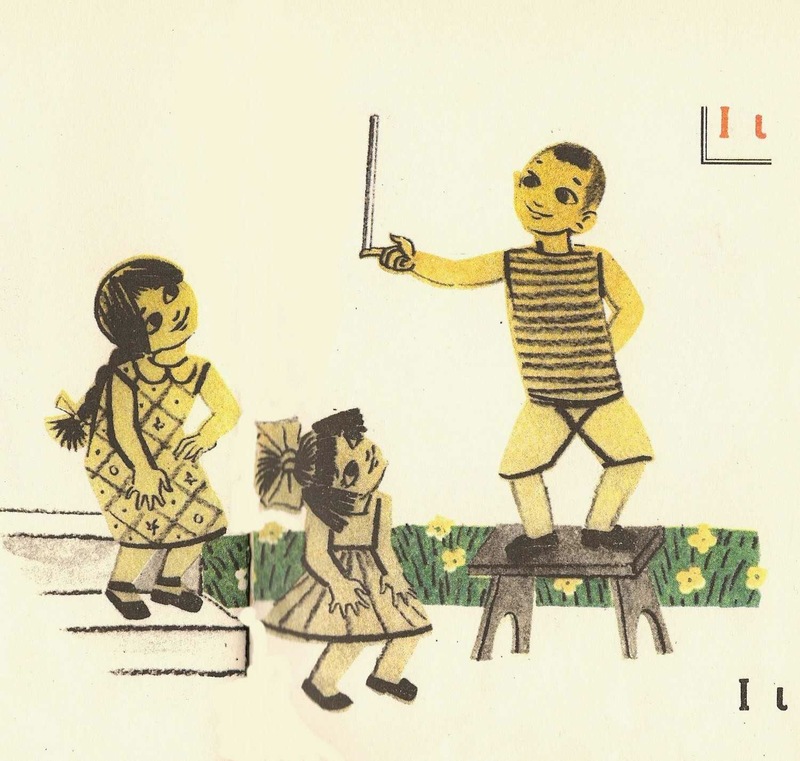 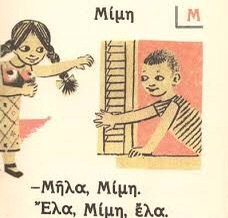 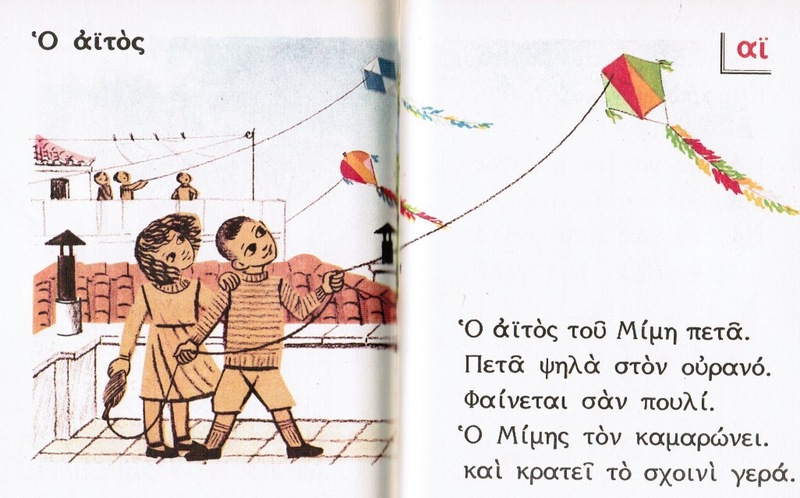 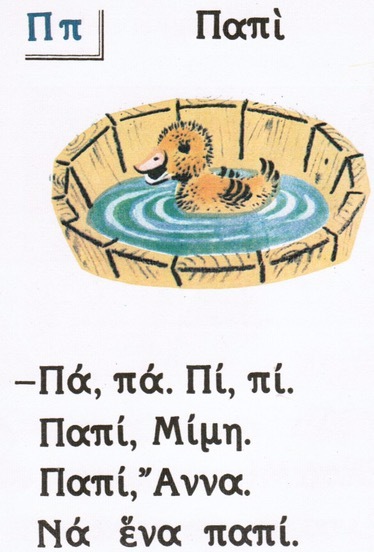 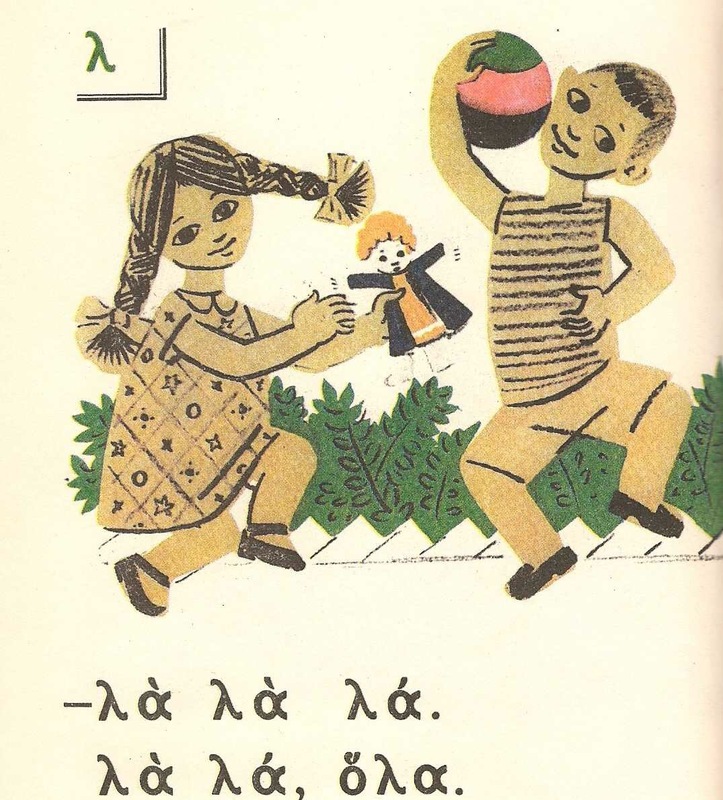 This book was published in the late forties (presumably by the Ministry of Education of the time) and was used as an introduction to the Greek language for 6 year-olds. 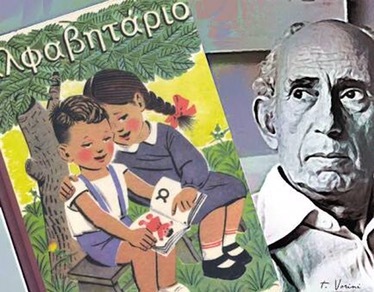 It must have made a strong and lasting impression to the generations of children as the publishers decided, upon many requests, to reprint a new edition in 1993 long after it was removed from the school curriculum. 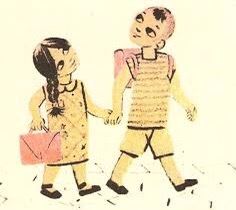 I love the combination of the graphic effect together with the hand-drawn quality – used sparingly, but so expressively. 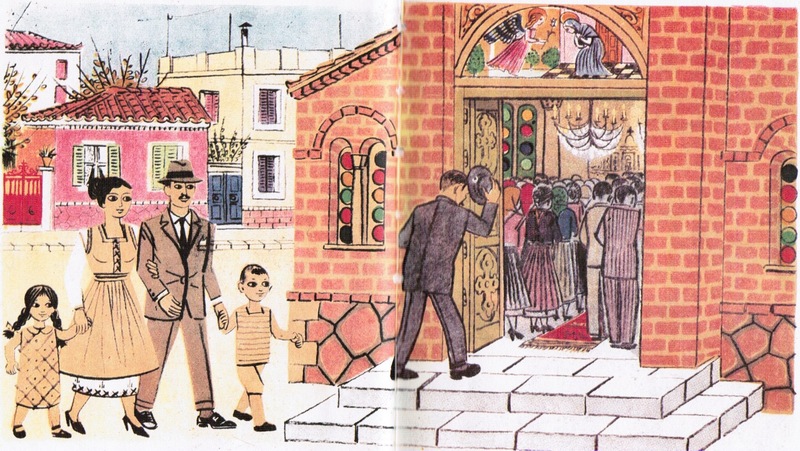 The colouring is very minimalistic and flat, yet used so creatively to illustrate textures, space and shapes. 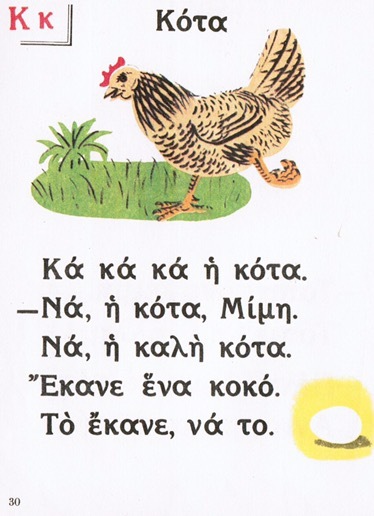 One of the most popular schoolbooks throughout contemporary Greek times is the alphabet primer, Αλφαβητάριο (al-fa-vi-TA-ri-o) by Ι. Κ. Γιαννέλη and Γ. Σακκά, distributed by the now defunct state body ΟΕΔΒ – Οργανισμός Εκδόσεων Διδακτικών Βιβλίων – Institute for Educational Books. 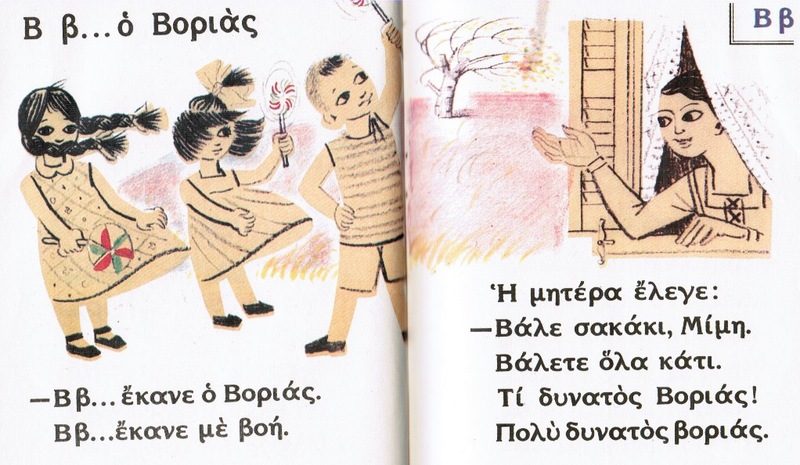 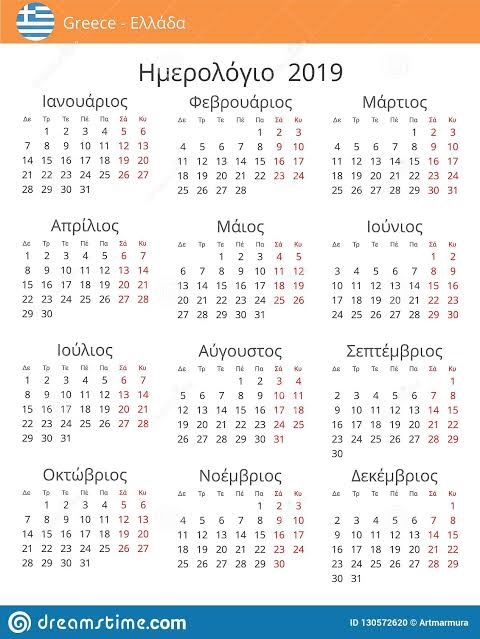 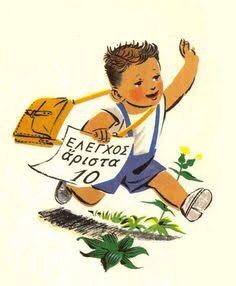 It was first used in Greek schools in 1956 and stopped being used around 1978. 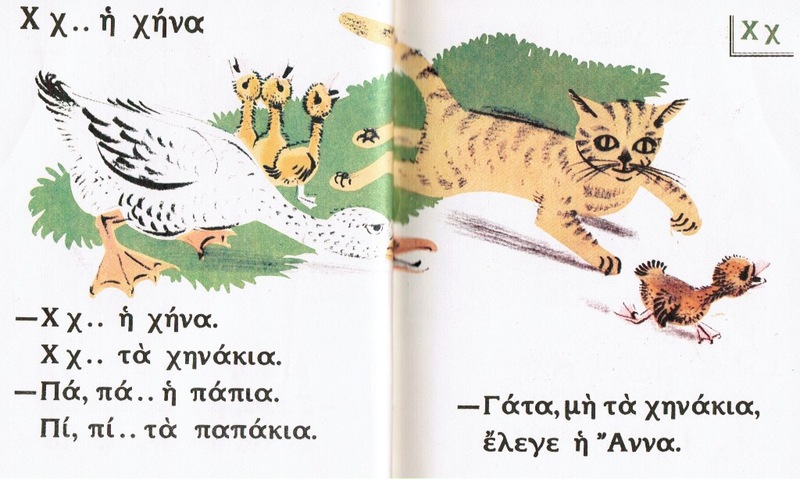 By that time, the images portrayed in the book had become obsolete in many ways – but the book continued to be popular even after it was discontinued, and today it enjoys success as an iconic classic of Greek imagery. 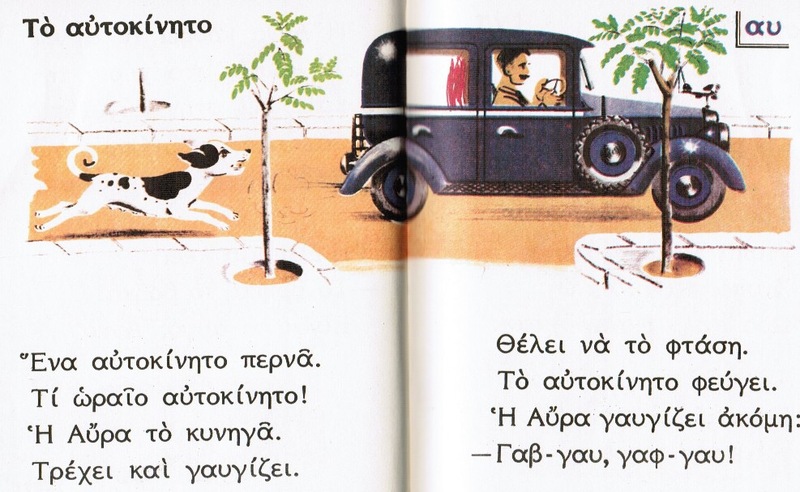 It has never stopped being printed; it’s available in hardback form at most Greek bookshops. 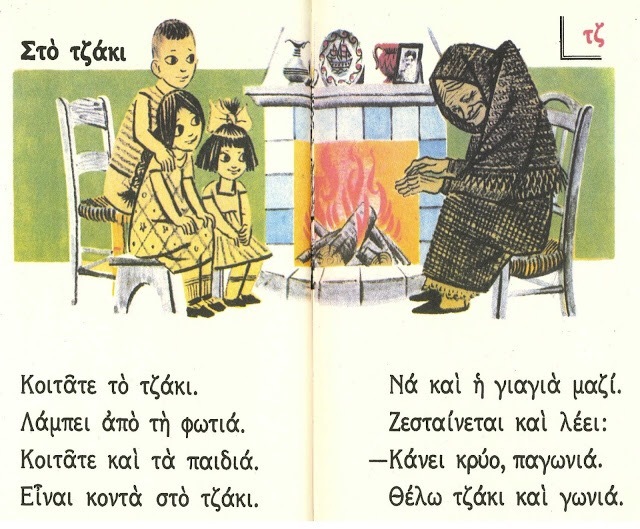 This book is one of the most often requested presents by diaspora Greeks who remember learning the Greek language from it and wish to help their children learn Greek through this book. 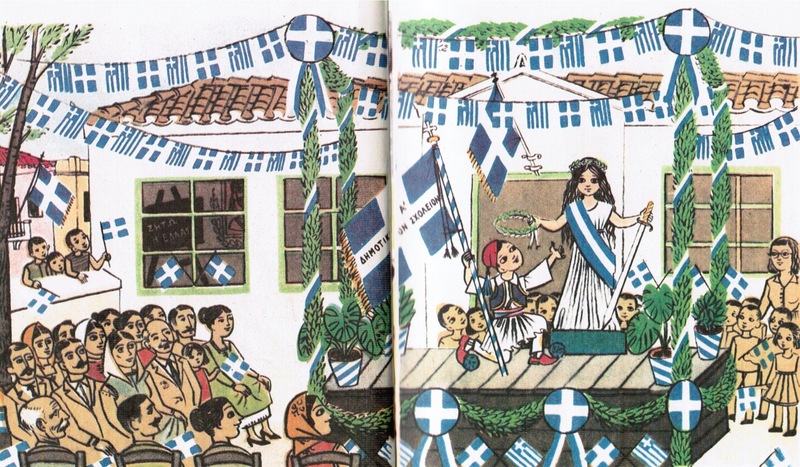 Diaspora Greeks have been influenced in their Greek imagery by the first immigrant generation, which don’t necessarily tie in with the present day and provide the main motivation for their alternative perspective of their ancestors’ homeland: Greece is a land which stand still in time. 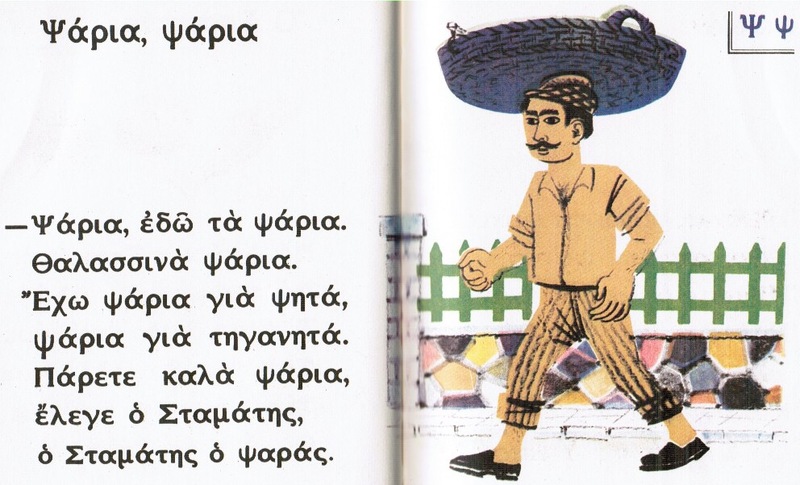 Previous Previous post: Spartan warrior, from the Isle of Samos, 525B.C.